This year for Easter I decided to prepare something dreamy and airy. 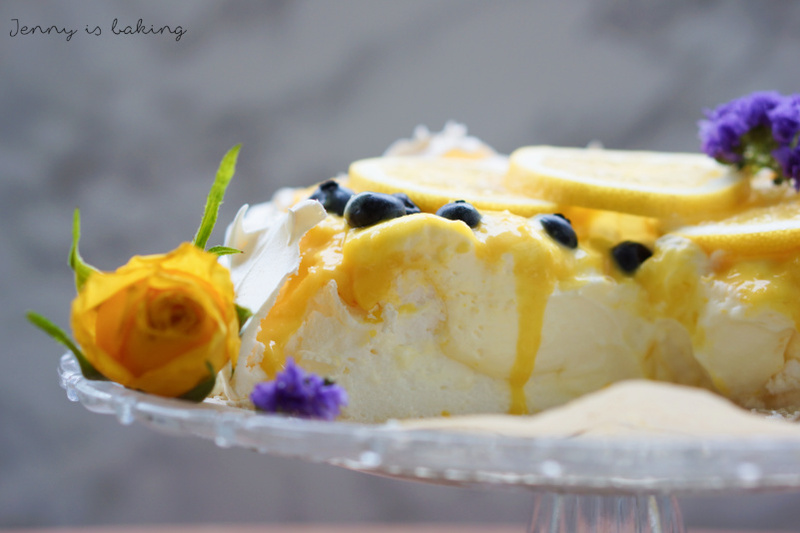 What better option than to go with pavlova? I went for a pavlova with lemon curd and fresh fruits. Never heard of pavlova? According to my research this dish is seen as the national dish of either Australia or New Zealand, both countries are still fighting about that. In the 1920’s the Russian ballerina Anna Pavlova visited both countries and this dish was invented in her honor. It contains a meringue base, which usually has the shape of a nest and is filled with whipped cream and fresh fruits. 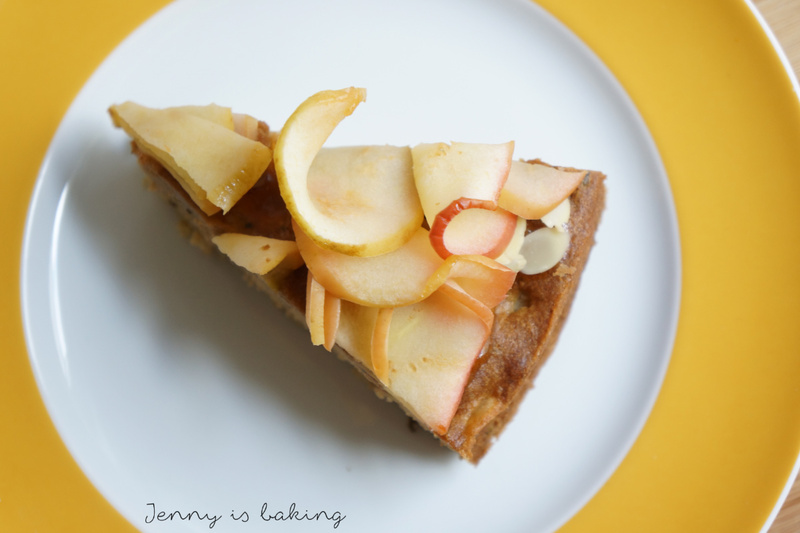 I promised I would introduce more cookie recipes during my second year of blogging. 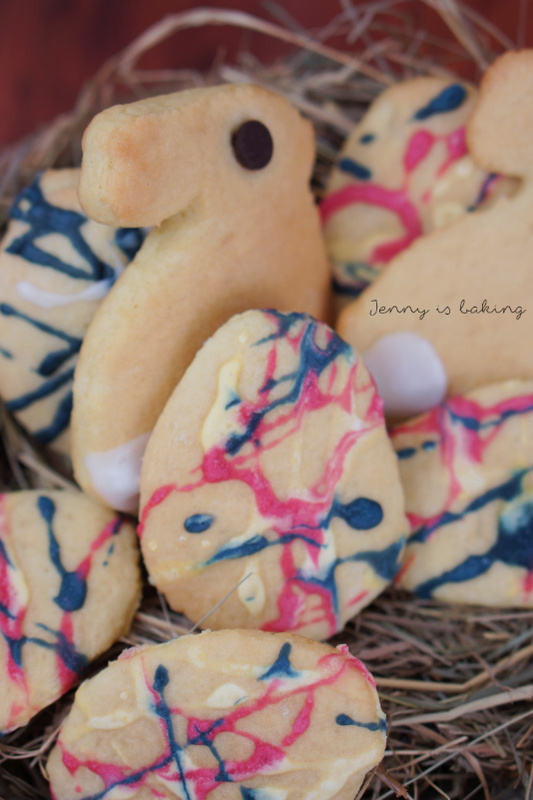 For that reason I decided to make some simple sour cream cookies for Easter. I actually got this recipe when I spent one year in Canada. It is a very old-fashioned recipe and not too sweet. These cookies are very soft, cute and pretty. Obviously you don’t have to make Easter bunnies and the like, I remember just using a glass in order to cut out the cookies in Canada. 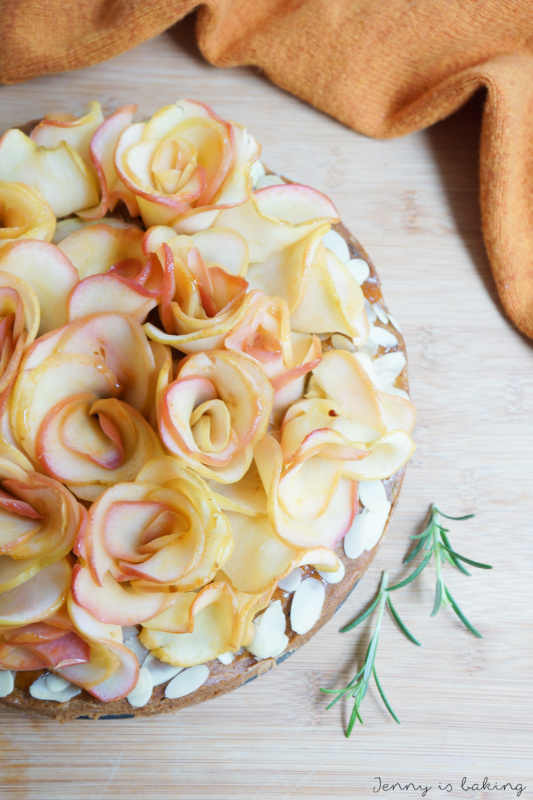 Are you looking for a quick, yet impressive recipe for Easter? Try meringue. It is done in about 15 minutes and can be made many days in advance if kept in an airtight container. 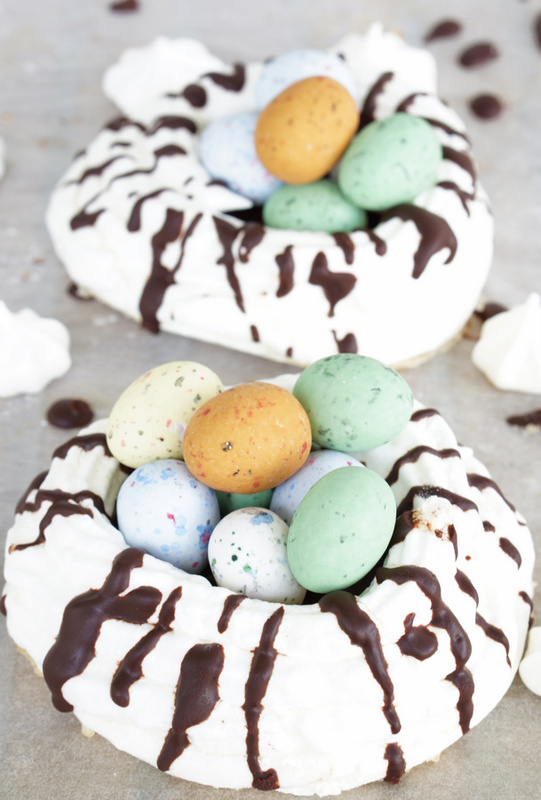 If you are not looking for an Easter recipe, you can dress the nests with strawberries and some cream cheese or whipping cream and have a light and delicious dessert.